Karma is generally understood as personal, and clearing karma is often considered an individual effort, with individual rewards. In Opening Our Spiritual Eyes, spiritual teacher Sri'ama Qala Phoenix shows how karmic clearing can also be used in collective healing. Karma is shared within families and communities, and clearing karma releases it from the etheric body of our children and future generations. The book was inspired by the ongoing "Celestial Project," a four-year global endeavor of Australia's Divine University that began in 2009. The project involves people gathering worldwide on specific dates to focus on the karmic cleaning of the etheric body of a major city. 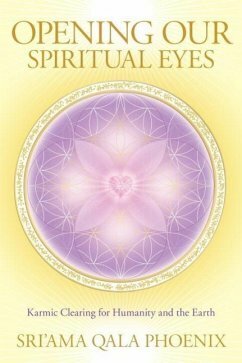 Opening Our Spiritual Eyes draws on the author's experiences of meeting the Enlightened Masters, those wise spirit guides who, through her, present new understandings of the collective karma held within the world's primary cities and our etheric bodies-and how to free ourselves, our families, and our world from it with grace. 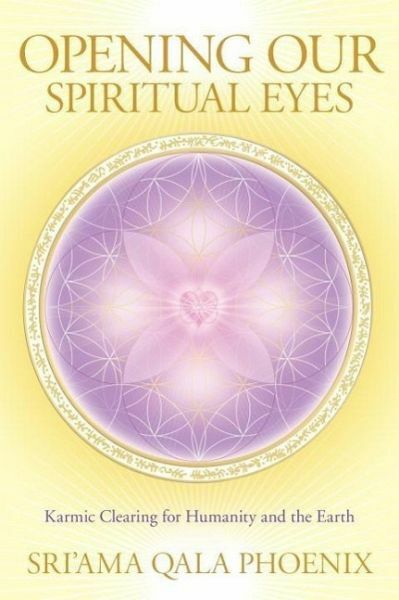 Revealing what Sri'ama Qala Phoenix calls "the true nature of the divine plan for humanity and our Earth," the book shares essential keys for how we can become empowered to live in alignment with our divine purpose. From the Trade Paperback edition. During the past fourteen years, Sri'ama Qala Phoenix has received over 4,000 visitations from the Enlightened Masters. These divine interventions led her to become an international teacher and "founding mother" of the Divine University Project and Academy of Energy Science and Consciousness in Byron Bay, Australia. She lives in Byron Bay.